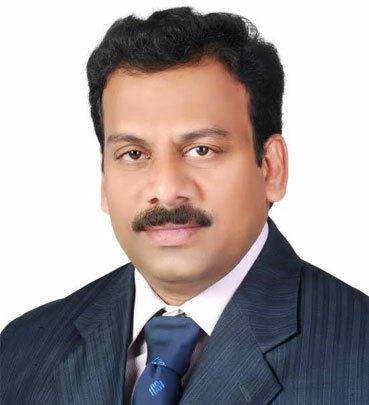 Ramakrishna Gupta Racharla (Ramki) is a Senior Partner of R & A Associates. He has thorough knowledge and experience on Corporate Law matters and has over 15 years of hands on experience in Secretarial and Corporate law matters and also Insolvency Professional registered with Insolvency and Bankruptcy Board of India. He has thorough knowledge on the various corporate laws viz, Companies Act, SEBI Regulations, Foreign Exchange Laws, IPR Laws, etc. He heads the Secretarial Audit, ESOP design and implementation and Intellectual Property Rights (IPR) practice divisions at R & A. He was closely involved in conducting the Due Diligence of various listed and unlisted Companies and Takeover / Acquisition of more than 20 companies from inception to consummation of the transaction. Ramakrishna is primarily responsible for representation of the clients on any corporate law matters before authorities like the Registrar of Companies, Official Liquidator, Regional Director and National Company Law Tribunal. Insolvency Professional registered with Insolvency and Bankruptcy Board of India. Secretary, Vice Chairman and Chairman during 2011 to 2013. Presently Vice-Chairman of Southern Indian Regional Council of ICSI.